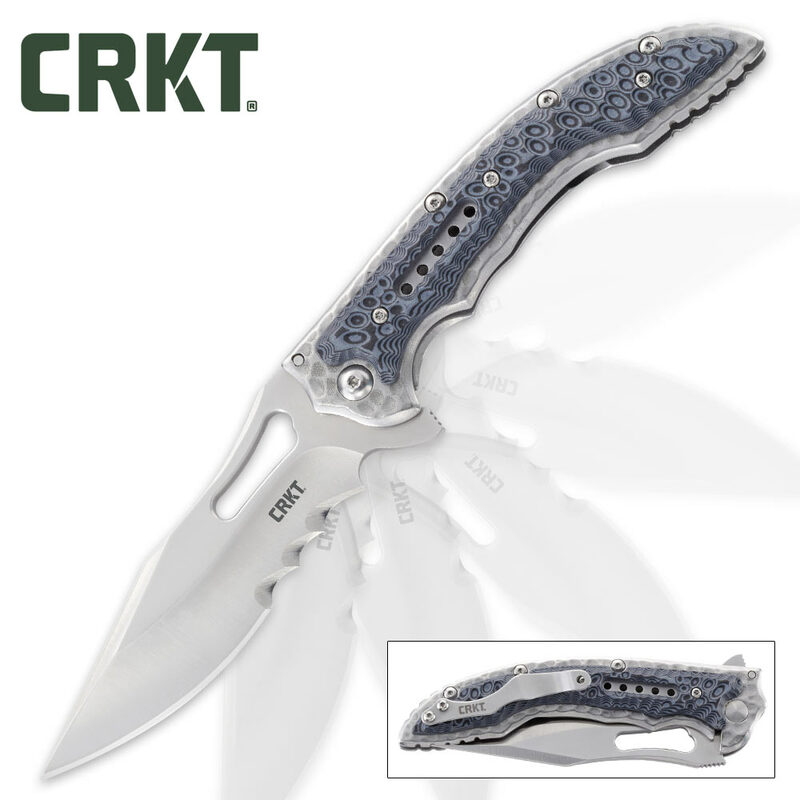 CRKT Fossil Pocket Knife | IKBS Ball Bearing Pivot | G10 Handle Overlays | Veff Serrations | BUDK.com - Knives & Swords At The Lowest Prices! 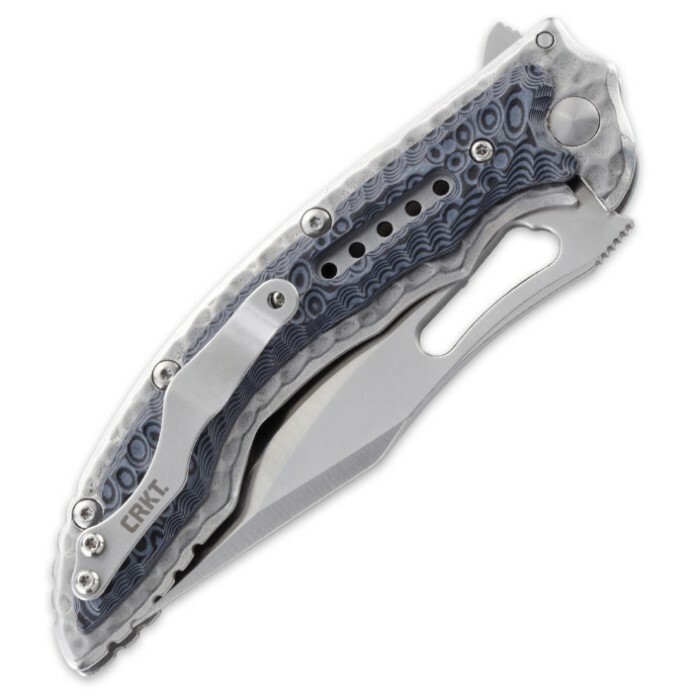 With its chic, undeniably unique design and state-of-the-art engineering, the CRKT Fossil makes all the pocket knives you thought were cool extinct. Its name and aesthetics hearken back to a distant, prehistoric era. The concentric rings and stratified ripples on the G10 handle scales echo stromatolites - earth's earliest fossils, and the hammered two-tone steel frame and liner beneath mirrors a cratered earthscape from our planet's tumultuous early years. But with CRKT's exclusive innovations - ultrapotent "Veff" serrations and velvety smooth IKBS ball bearing pivot system - you can rest assured the Fossil Pocket Knife will never get old, especially when it comes to cutting tasks. Veff serrations are unlike any other, offering remarkably clean cuts and unrivaled cutting power, even on challenging fibrous materials like thick rope. Thanks to the advanced IKBS ball bearing pivot action, fast, one-handed opening is effortless, requiring just a gentle tug of the handy blade spur. The Fossil's distinctive handle is ergonomically contoured for a comfortable, no slip grip, while scattered jimping and ideal weight distribution allow for maximum control. Designed by legendary knife designer Falvio Ikoma of Brazil, the Fossil takes stylistic cues from his previous CRKT Sampa and Carajas models. 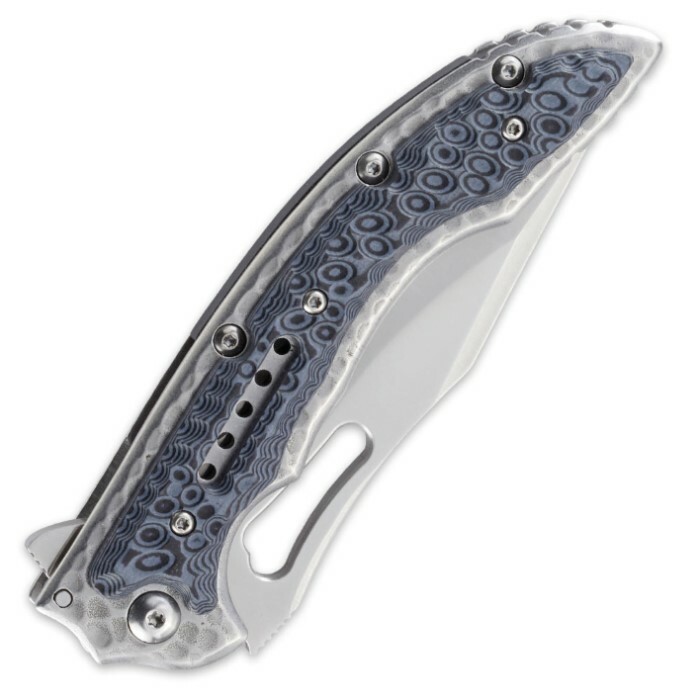 But the CRKT Fossil Pocket Knife ramps up the artistic flair to new heights, yielding a piece that is clearly Ikoma, yet distinctively a new breed of everyday carry folder.